This guide will teach you how to get a Korean Starcraft 2 account. The Korean / Taiwanese ladder has the toughest Starcraft 2 ladder in the world. The world's best Starcraft 2 players train on the Korean ladder. This is the reason why a lot of serious Starcraft 2 players would like to obtain a Korean SC2 account. It used to be extremely hard to get a Korean Starcraft 2 account since a person is required to have a Korean Social Security Number in order to buy a Korean Starcraft 2 account. But thanks to the merging of the Taiwanese and Korean Starcraft 2 servers in early 2011, any foreigner can now play on the Korean ladder by buying a Taiwanese Starcraft 2 account. 1. Purchase from a reputable online Korean Starcraft 2 seller like RTSDealer.com. * Read RTSDealer's tips if you want to buy a Korean Starcraft 2 account. 2. Download and install the Starcraft 2 Taiwan installer. 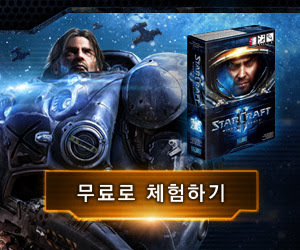 * Read RTSDealer's guide on how to install the Korean Starcraft 2 client. 3. Log in from your brand new Taiwanese account and play on the Korean ladder. Just post a comment below. Note: RTSDealer.com sells Korean Starcraft 2 CD Keys / accounts for 60 USD.